A new paradigm structure of the automobile industry is emerging. It is the fourth industrial revolution that is to ensure competitiveness through the technological convergence of eco-friendly automobile, ICT, traditional automobile manufacturing, and shared economy based car service. Smart technology that has been developed due to the development of electronic technology is applied to automobiles and technologies from automobile safety improvement to automobile autonomous driving system are being developed. A recent automotive technology is changing the business model from vehicle-only technology to vehicle-to-society system. The unmanned vehicle is a good example. And the worldwide trend of automotive technology development is changing from single development to cooperative development. Our country should also show advancement in this kind of cooperative development, even though we are sandwiched by leading automotive-production countries and the second-tier automotive-production countries. The key technical field that will lead the 4th industrial revolution is the automobile industry. Among them, electric vehicle technology should be the core of the 4th industrial revolution. We are also facing a big change in automobile technology development environment and domestic auto industry requires a strategy that takes the ‘competition’ and ‘cooperation’ at the same time to survive in the global market. With regard to the present state of automobile industry in Gwangju Metropolitan City, KIA Motors has a capacity of producing 620,000 vehicles annually. Gwangju Metropolitan City is promoting the eco-friendly auto parts industry with the support of the government. Critical tasks of this big project are given such as the local parts makers' own development for its techniques, improving its researching skills, and globalization. Therefore, our committee decided the theme of this year as “EVer Green (EV: Electric Vehicle (battery based))”. 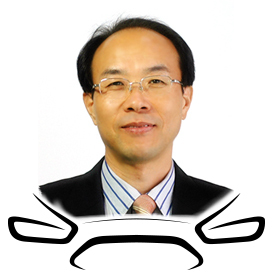 The goal of ICAT (International Conference on Advanced Automobile Technology) is to create a framework that ways of grasping for the latest trend of automobile technologies in the future can be broadly discussed. A main theme discussed at the 2018 ICAT focuses battery based electric vehicle technology. The ICAT tries to lay the sure foundation down to get through many obstacles which lie in both domestic and foreign automobile industry. The ICAT committee members will continue to do our best to make the ICAT to be the top-class international conference on the state-of-the art automotive technology. Finally, I would like to thank all of distinguished speakers and all our committee members.